Brisbane Magician for Corporate Events, Private Parties, Trade Shows,Conferences, Weddings, Celebrationsand so much more! Roving or Walk Around Magic is extremely entertaining and will have your guests raving about all the fun they had for many years to come. A proven way to gain valuable leads, magicians have been successfully used all over the world, by many of the worlds largest blue chip companies and corporations to gain that extra edge. Get the evening off to a great start with an hilarious comedy magic show to get everyone fired up for a big night of awards. Responsible for organising the company Christmas Party?. This year try something different, a guaranteed success!. Ill get the party off to a magical start and they will be wondering how you came up with such a great idea. Planning a celebration? Want something different? Glenwill mingle with your guests, amaze and entertain them with interactive sleight of hand magic. Magic and wedding receptions are a perfect combination. Keep your guests entertained during photo shoot, before or after the main meal. 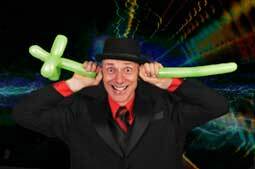 If fact, Glen can customize his magic entertainment to fit any occasion. Glen, That All Sounds Absolutely Great. What Now? Glen Rhodes is a Brisbane based Magician, Comedian, Mentalist, Entertainer and Master of Ceremonies. He is a cheeky chap from London, England. His shows are perfect combination of witty charm, stand up comedy and mind blowing magic entertainment that is guaranteed to have you believing the impossible is, indeedpossible. Glen performs more than 400 shows per year making him one of the busiest magical entertainers in Australia. What does this mean for you?Experience! Glen has a wealth of knowledge gained from performing 1000s of shows and will ensure that you next event will be even more successful and, will tailor a show to suit your audience. Glen has been creating memorable events for over 15 years and has worked at just about every sort of venue and event, from a small group of businessmen in a city apartment to several hundred at a comedy club. Glen was a weekly performer at The Albion Comedy club for over a year. So whether you are hosting a gala dinner, an awards night, a private party, conference, convention or Christmas party, Glen Rhodes can offer practical, helpful advise that will add some real magic to you next corporate event or private party. Glen is a member of the International Brotherhood of Magician and past Secretary of the Queensland Society of Magicians.